The City of Eastland installed a new siren system in 2006 and upgraded it in 2007. This system consists of five sirens located strategically within the City limits. Each siren covers approximately a 1.12-mile radius. Click MAP to see siren coverage. The sirens are uni-directional and rotating for maximum coverage. Within these areas, readings of 70 decibels or more are likely at locations out-of-doors. If there is a power outage, each siren will operate off of a battery system that can last for an extended period of time without electricity, and then will be recharged once electricity has been restored. The sirens are activated by a radio signal sent from the encoder located in the Eastland Fire Department. The software used, continuously monitors the system, and reports back to the Fire Department if there is any problem with any of the sirens. If there is a problem with the system at the Fire Department and they are unable to activate the sirens, there is a backup system that can be used to activate the system at Eastland Police Department. WHAT WARNING TONES ARE USED BY THE OUTDOOR WARNING SYSTEM? For Google Chrome and other browsers Click to hear the tones. For weather related emergencies, such as tornado, straight-line wind greater than 60 miles per hour, or hail larger than golf-ball size, the sirens will sound the ALERT TONE. Click to hear this tone. For hazardous materials incidents, such as train derailment, tanker truck collision, or any incident involving possible evacuation of an area due to chemical hazard, the sirens will sound the DISCONTINUOUS AIR HORN TONE. Click to hear this tone. For imminent flash flood, when low-lying areas should be evacuated immediately, the sirens will sound the HI-LO TONE. Click to hear this tone. For Lightning Warning, when athletic playing fields should be evacuated immediately, the siren closest to the field will sound the WHOOP TONE. Click to hear this tone. WHAT DO I DO IF THE SIRENS ARE ACTIVATED? In the event that the Warning Sirens are activated, SEEK SHELTER IMMEDIATELY, then listen to the radio or TV to get details on the changing weather conditions. In the event of an actual warning the sirens will be sounded for a minimum of three minutes. The warning sirens may be sounded several times if the threat is continuing. This increases the chances that people will hear it, even indoors. WHO CAN HEAR THE SIRENS? The City operates five Outdoor Warning Sirens designed to give warning to persons outside. This is because people outdoors may not have the same access to warning and information that those inside do. People who are outside need time to reach shelter. CAN SIRENS BE HEARD INSIDE? Sirens can penetrate buildings close to the siren units, but this is not the goal. Do not rely on indoor warning from the Outdoore Warning System. Newer structures are insulated better and more likely to keep sound out. The sirens cannot be made louder to penetrate buildings because doing so would pose a danger to the hearing of people who are outdoors. Is there an all clear sounded by the Outdoor Warning System? There is no all clear sounded by the Outdoor Warning Siren System. Listen to the radio or TV for an all clear to be given, or if you are unable to listen due to a power outage, the warning usually expires one hour after the last siren has sounded. DOES THE CITY TEST THEIR SIRENS? Yes, the sirens are tested on the first Wednesday of each month at noon. The test lasts for about 30 seconds. A silent test is performed weekly to make certain all the systems are operational. The purpose of the testing is to assure that the emergency Outdoor Warning System is functioning properly in preparation for weather-related emergencies and other public safety concerns. WHAT ELSE CAN I DO FOR MY FAMILY'S SAFETY? You can purchase a NOAA All-hazards radio that will alert you to weather watches and warnings that are specific to Eastland County. These radios, operated on AC current and/or batteries, are inexpensive, and can provide timely warnings of hazardous weather conditions, as well as AMBER alerts and other hazard warnings. They differ from police scanners in that they remain silent until the National Weather Service sends a tone to activate the radio prior to issuing a warning. WHAT OTHER WARNING SYSTEMS ARE AVAILABLE TO THE RESIDENTS OF EASTLAND? In addition to the Outdoor Warning system, the City of Eastland can activate the CodeRED telephone system, which is capable of dialing 2000 telephones within two minutes. CodeRED is an address-based database that can deliver pre-recorded warning messages to residents very quickly. The City also has the capability of interrupting cable TV programming to deliver emergency warning messages. These two systems, along with the Emergency Alert System (EAS), supplement the outdoor warning siren system and provide warning to residents who are already indoors when the emergency arises. WHERE CAN I FIND MORE INFORMATION ABOUT CODERED? Information on CodeRED can be found by clicking HERE. HOW CAN I BE SURE THAT MY TELEPHONE NUMBER IS IN THE CODERED DATABASE? If you have had the same telephone number for the past five years, and your number is listed in the directory, you are most likely already in the database. If you have a new phone, or a cell phone, or an unlisted phone number, you can click on the logo and it will take you to a website where you may enter your information. 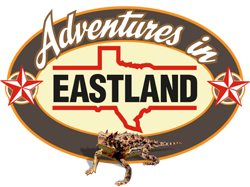 Only residents of Eastland will be accepted for inclusion in the database.